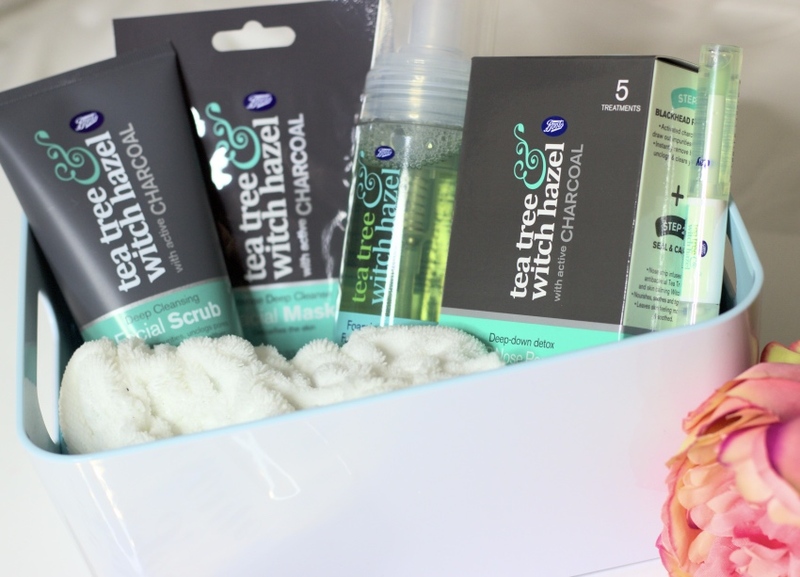 A couple of years ago I tried the Tea Tree and Witch hazel and charcoal range from Boots. I was truly amazed with how such an affordable skincare brand could do wonders to my skin. Even though this post is two years old it is still one of the most popular posts on my blog. Do you know why? It must have something to do with the fact that this is the number one medicated skincare brand exclusive to boots. 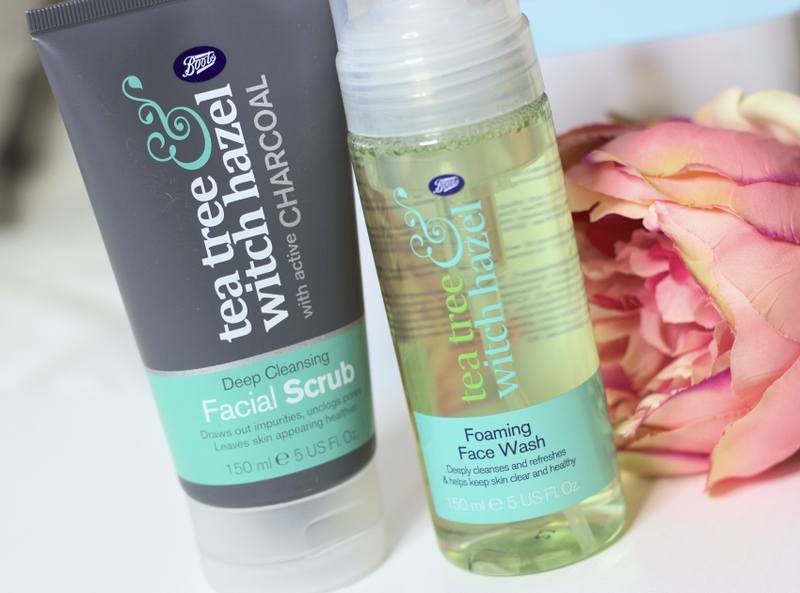 The two hero products from this range are the foaming face wash which is actually the number one selling face wash in boots, even amongst all the other brands that are sold in Boots. It helps to keep your skin clear, refreshed and clean. My hero product has to be the Spot Wand, I have been using this for years! I love that it’s dual ended for day and night, I have repurchased this product so many times. The reason these products are so fabulous is because they contain two main ingredients which are crucial for problematic skin and gentle at the same time. These are tea tree which is popular for its anti-bacterial properties and witch hazel which soothes redness and irritation and in effect calms the skin. The Charcoal face wash and face mask still continue to be heavily involved in my skincare routine (as well as still being the best brush cleaner I have found!) I have now also discovered the Deep Cleansing Facial Scrub and use it twice a week, it exfoliates my skin and cleanses my pores so well. 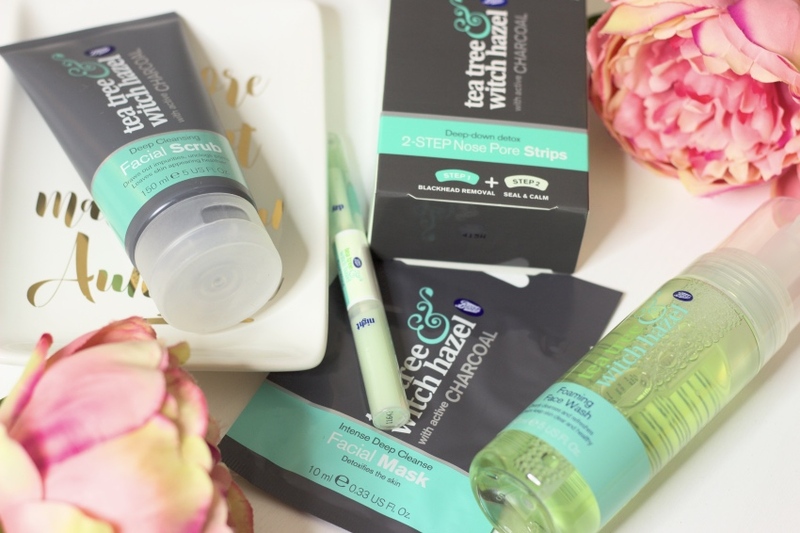 I’m sure I must have said it last time but I am so amazed by the price points of this tea tree and witch hazel range, it works like a premium brand yet everything is under or around £5 which I think is impressive! I received one of their masks (the US brand) through Influenster a few years ago. It worked great! I haven’t tried any of their other products. I think the US versions are more expensive.